Gorgeous custom ranch style home with many updates on one acre. This family friendly floor plan has been meticulously maintained! Pride of ownership shines through with many the updates and custom touches, including newer roof, brand new flooring, new paint through out and updated bath rooms. The great back patio area, salt water pool, outdoor entertaining space and workshop all make this home the perfect place to raise a family! 2210 Equestrian Way, Pilot Hill, CA 95664 is a one in a lifetime find! Water! 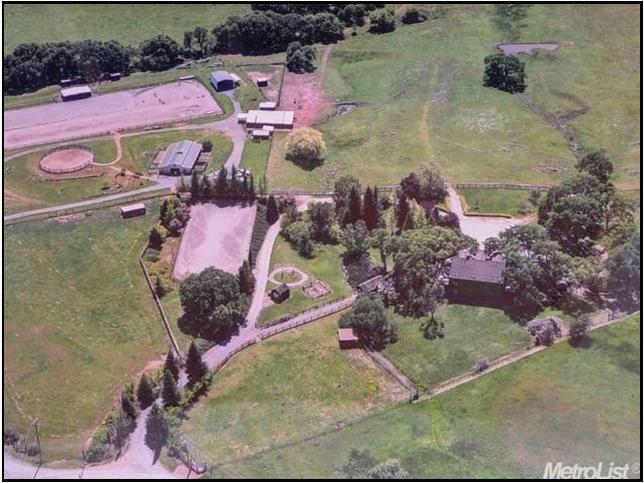 usable, open acreage! good, deep soils! Did we mention the water? Attention horse trainers and horse enthusiasts! Once in a life time opportunity for a training facility ready for your personal touches! Pamper yourself and your horses with this amazing 40 acre ranch set up for all disciplines.2210 Equestrian Way includes everything you need! look whats already here.\: 3 arenas, round pen, +multiple out-buildings INCL: 10 stall STALLMASTER (see pictures and Virtual tour at www.2210equestrian.info barn, mare motel, paddocks, pastures w/shelters fenced/X-fenced some irrigated. 2 wells. Ride off your property to scenic river trails that go for miles! Not to mention a beautiful 2 bed 3 bath brick home for you and your family. "INFOGRAPHIC: 4th Quarter 2013 Metro Area Home Prices and Affordability. "Economists Outlook. N.p., n.d. Web. 09 Apr. 2014.